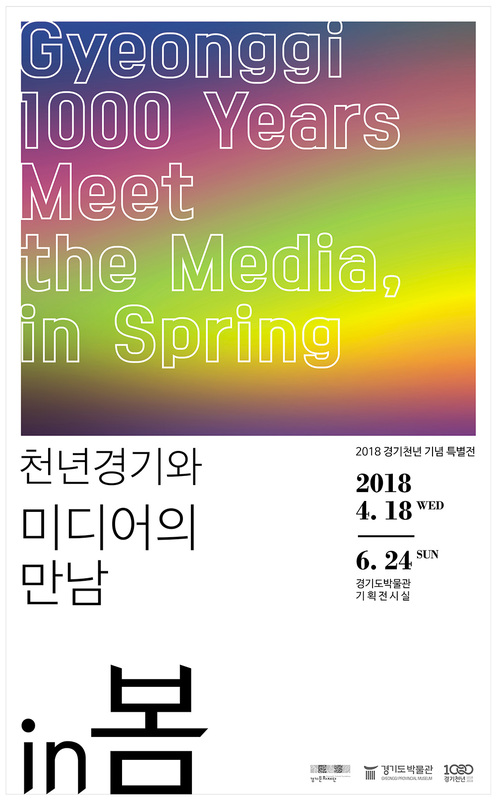 At Gyeonggi 1000 Years Meet the Media, in Spring, you can enjoy the medley of beautiful collections of the museum and modern media art. Today, the ways of expressing cultural properties have become more diversified as more people are interested in media. Celebrating the 1,000th anniversary of the naming of Gyeonggi, the exhibition mainly shows the works of modern media artists who reinterpreted the cultural properties of Gyeonggi Province through their own lens. Visitors are encouraged to learn about the cultural assets and to reflect on their value. Although spacial limitations had made it difficult to deliver the full 1,000-year history of Gyeonggi, we carefully selected those relics which would effectively embody the theme of the exhibition in order to transfer the story about the lives of those who have lived in Gyeonggi. We hope that our cultural properties coinciding with media will open the road for one fine spring day in Gyeonggi Province, a region located in the middle of the Korean peninsula and where you can find lavish cultural heritage.